Ffion Davies is a Welsh grappler and a Brazilian jiu-jitsu (BJJ) black belt under Darragh O’Conaill, who is widely regarded as one of the top featherweight competitors of her generation. A judo player for the Wales National Team during her junior years, Davies made a name for herself in the world of BJJ though her many important wins in the International Brazilian Jiu-Jitsu Federation (IBJJF) circuit, while representing the East Coast Jiu-Jitsu Academy (ECJJA). Ffion Eira Davies was born on January 18, 1995, in Swansea, Wales. Showing interest in physical activities from a young age, Ffion was signed on to different sports from a young age, namely rugby and judo – a martial art she joined at the age of 8, and competed extensively, becoming a Welsh and British Open champion (junior division) as well as a member of the Welsh National Judo team. Although judo was a big part of her childhood, during her adolescence Davies struggled with self-confidence and felt she didn’t have any solid friendships on the team. Growing disenchanted with the sport, Ffion decided to take a break from any competitive activities. She returned to judo aged 17 for a brief period, but by then the love for the game had faded and once again decided to step away. In 2013 Ffion Davies found out about mixed martial arts (MMA) and in November that year, decided to join a gym. 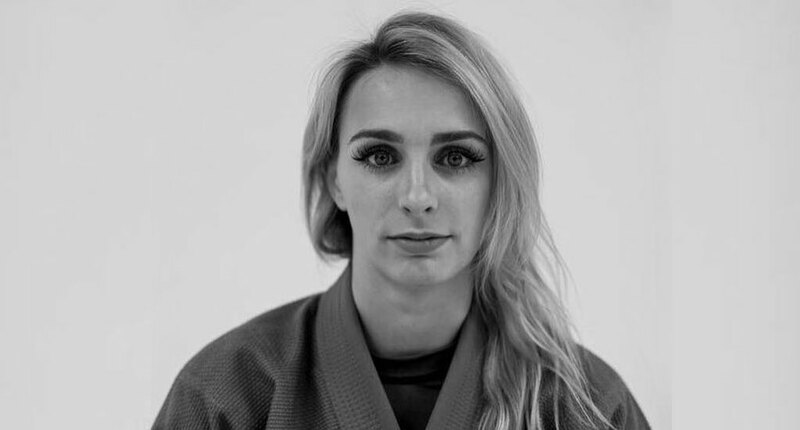 It was through MMA training that Davies discovered jiu-jitsu, finding similarities to judo but with lesser restrictions, Ffion quickly fell in love with the gi once again. Swansea BJJ pioneer Chris Rees became Ffion’s first BJJ instructor, one who graded Davies with her blue belt. Although still linked with the Rees affiliation up until her purple belt, soon after her promotion, Ffion and her then boyfriend chose to sever ties with CRA, to join forces with Darragh O’Conaill‘s East Coast BJJ academy. With EC’s headquarters set in Ireland, the couple followed coach Darragh’s program from a satellite gym set in Cardiff (WAL) – CF24. On June 2018, after splitting from her partner – owner of CF24, Davies decided to spend some time in Ireland, training with coach O’Conaill. 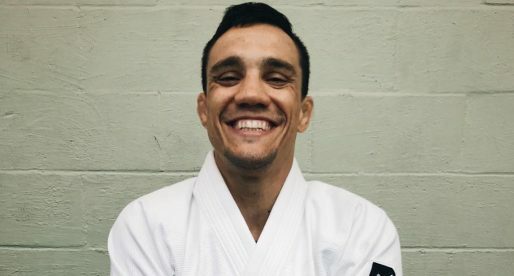 Finding Irish living to be a very positive experience, Ffion decided to prolong her stay and settle in Dublin, and it would be there that Davies was promoted to black belt, on November 27, 2018, by coach Darragh O’Conaill. Ffion is a Welsh name, which means Foxglove. The name is often confused with a misspelling error due to its use of two F’s combined. The reason for the FF at the start of the name, however, derives from the inexistence of the letter V in the Welsh alphabet. Instead, the “V” sound is represented by a single F, while F (or Ph) is written as FF.